Toastmasters Speeches: Resources for Informing-Sample Speech, "Basic Blog Layout"
Resources for Informing-Sample Speech, "Basic Blog Layout"
Who among us here have visited or seen a blog? Who among us here look at blogs on a regular basis, as in everyday? Who among you here have seen my blog? Last week, I’ve talked about a website that I maintain. And in this website is an archive of my Toastmasters speeches. Some of you here have taken an interest in knowing more about websites and blogs in particular. How easy or how hard is it to setup a blog? Well, it’s far easier than you think! If you can manage yourself easily through the internet and follow simple instructions, you can setup a blog. But what is a definition of a blog? According to Technorati.com, a blog is a personal journal on the web. It is there that a person logs his or her journal entries or posts. According to Technorati.com, the word “Blog” came from the fusion of two words – Web and Log., to become weblog. The WE was dropped further to shorten the name to "blog". Is a blog considered a website? Oh yes, it is a website powered by blog software that let people publish online content. Content may mean text, pictures, videos, audio files or a combination of those. How about blog software that allow you to publish? Well, there are several. There’s Blogger which I use. There’s Wordpress. There’s Typepad. Even Multiply has a blog facility. But by far, Blogger seems to be more popular and it is free! Each of these have their own special features but the basics for maintaining a blog are all similar. What is the basic layout of a typical blog? (distribute handouts) I’m passing out the actual printout to my blog “as-is”. 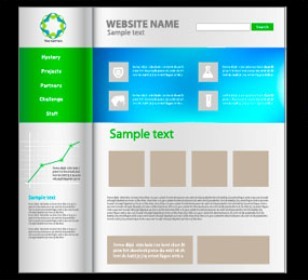 The basic layout has 3 components: the header, the sidebar, and the blog entries themselves. Some blogs have 2 sidebars – one on the left and the other at the right. That’s okay if you have plenty to put in the sidebars. For me, I’d rather have one so my blog entries will have a wider space. In the header, this is where you put your blog’s name or title, and a little text to describe the blog. In the sidebar, you’re able to put stuff like Google ads, supposedly there to make you rich – if your ads get like a million clicks per day, maybe. In the sidebar you could put some widgets. A widget is also a fusion of 2 words – windows and gadget to spell out widget. So you can have a widget like a small picture gallery shown here. Another item on the sidebar is the Profile – a little something about me. And then a list of my recent posts. And then there is a list of the monthly archives. It doesn’t show in this printout but I’ve had entries as far back as 2004. Every time you click on a month like if you clicked on February 2007, you’ll see ALL blog entries for that month. I also have a Links portion here where I have a link to My Toastmasters Speeches. If you click on that, the website which I showed you last week will be displayed. Then there’s a link to my email address. You click on that and it will bring you to your email software with my email address there. And then we have more Google ads. This time they’re displayed correctly. And finally there’s a widget down here. This is a very useful widget called a site statistics counter. If I click on that, it’ll bring me to a website that tracks all the visitors to my site. That website will list for me, where the visitor is coming from, like where his country is, what organization. It even tells which pages he looked at and what were the “search words” he was using to get to my page. So that info tells me what he or she was looking for in my blog. You could put more. And then there are the blog entries which are basically your day-to-day postings. You can set your blog to display 1 entry for your default display or any number. I have 7 entries displayed by default. You could set it to display ALL entries but that will take a long time to load all the entries for display on screen. There’s the title. You could put text, pictures, videos, audios on your entries. This particular entry (show entry on the handouts) has a video in it which is actually an embedded link to a YouTube video. You could label your entries so that later, it is easy to categorize them. This entry was labeled as breakthrough, medication and video.If I click on the word “video”, I’d get all entries in my blog which were labeled as “video”. And I’m certain I’d have a video file in all those entries. Your entries could have a commenting feature like I have here where a blog reader may wish to comment on an entry. Well, there you have it. That is the Blog Basics for Layout. The layout that I just showed you gives you a flavor of what you might expect from a blog. Of course you can move around things a bit and make it really individualized. But those are the basic features for a typical blog layout.